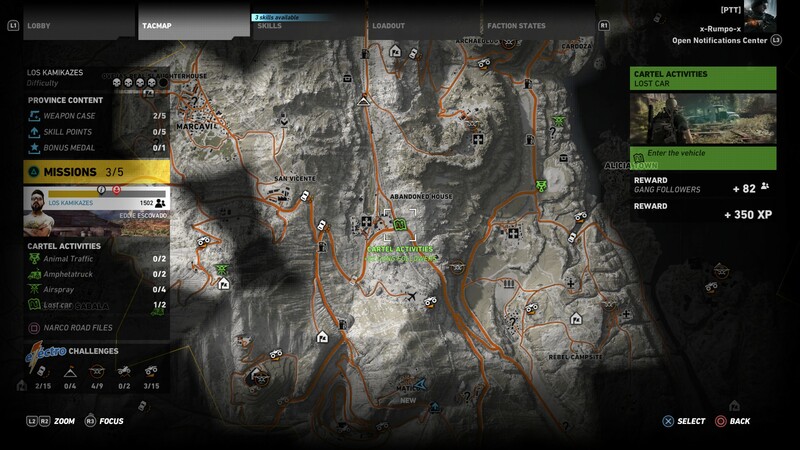 The location of all Lost Car missions in Ghost Recon Wildlands Narco Road. 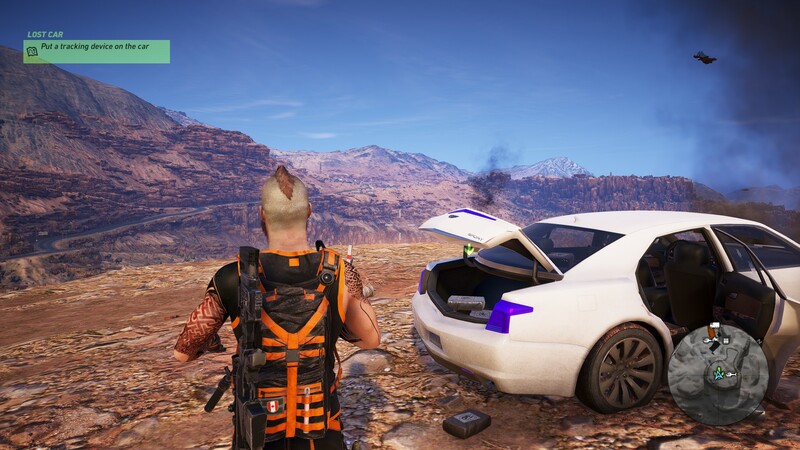 This guide will show players the locations of all Lost Cars in Ghost Recon Wildlands Narco Road, helping you increase your followers and progress through the DLC. You must enter the specified vehicle to start the mission, but you can get to the Lost Car any way that you wish. We prefer a helicopter so we can get a good look at the surrounding terrain. Be sure to look at the Picture Evidence once you activate the mission. Normally there will be a landmark that you might recognize, like a large cliff, mine or structure. There will often be smoke coming out of a Lost Car, so get to the general area where you know the vehicle is, and then use your Binoculars to scan the surroundings for black smoke. This is the starting point for the first Lost Car in Los Kamikazes. The location where you'll find the first Lost Car in Los Kamikazes. 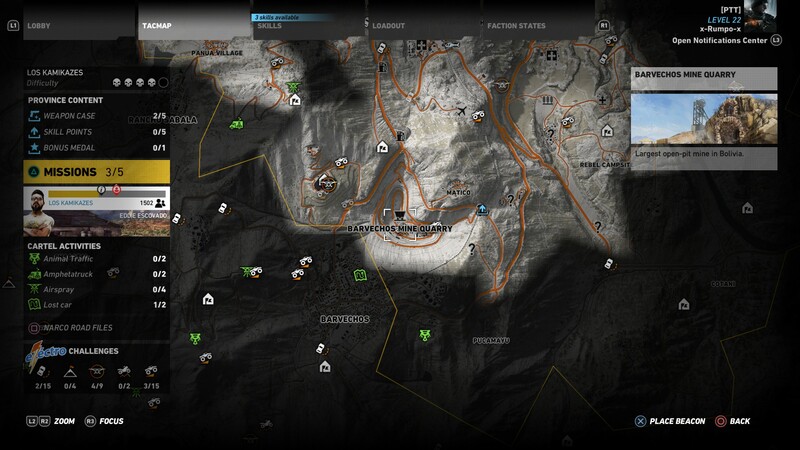 The first Lost Car we’re going to help you find is in the Los Kamikazes territory. 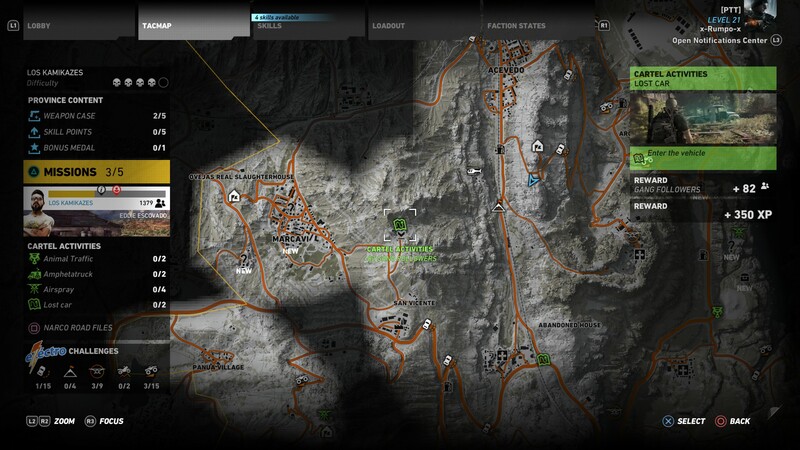 The mission-marker should be on your map, but in case it’s not, you’ll find it East of Marcavi, in the same complex where you grab the AK 47 in the Narco Road DLC. Once you arrive at the Lost Car, place the tracking device and you're on to the next one. Get in the helicopter and then set a waypoint for the Rebel Campsite. You have 10 minutes, but since you’re flying and know where you’re going, you’ll only need about two. Fly to the Rebel Campsite, but land your helicopter on the rocks above it. That’s where you’ll find the Lost Car. 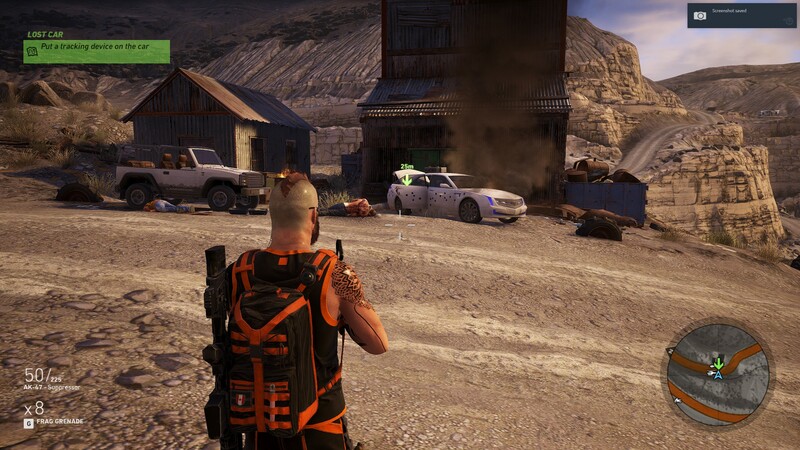 This is the missions start point for this Lost Car in Los Kamikazes. 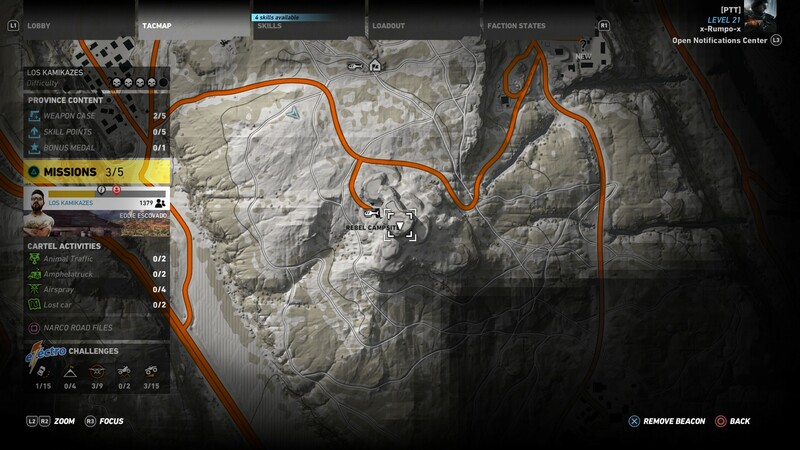 This is the location where you'll find the final Lost Car in Los Kamikazes. This Lost Car mission can be started by visiting the mission-marker on near the Abandoned House in the Los Kamikazes territory. It’s a car on the side of the road. Get in it to start the mission, and then get out and call for a helicopter to be delivered. Pretty hard to consider this a Lost Car when it's in the middle of an active quarry, but okay. Fly to the Barvechos Mine Quarry to find the Lost Car. As you approach, it’s on the opposite side of the mine. You can probably make out the black smoke even though the building is in your way. Fly over and land carefully so you don’t mess up your helicopter, then jump out and complete the mission. This was the second and last Lost Car in the Los Kamikazes territory. We’ll be adding the remaining Lost Car locations as we complete the DLC ourselves, so check back if you’re still in need of help.